Chairman since 15 July 2010 John Chan is Executive Director and Chairman of Finbar, and a Director of its Subsidiaries and Jointly Controlled entities. John was appointed director in 1995 and was instrumental in re-listing Finbar on the ASX as a property development company. Prior to joining Finbar, John headed several property and manufacturing companies both in Australia and overseas. John holds a Bachelor of Science from Monash University in Melbourne and a Master of Business Administration from the University of Queensland. John is a Member of the Australian Institute of Company Directors, is a Trustee for the Western Australian Chinese Chamber of Commerce, and is a former Senate Member of Murdoch University. Ronald's career commenced at Finbar in January 2004 and has now spanned over 14 years which equates to more than half of the company's life as a property developer. Finbar was an emerging growth company in 2004 with a relatively small portfolio of 15 development projects amounting to a total value of $162 million. 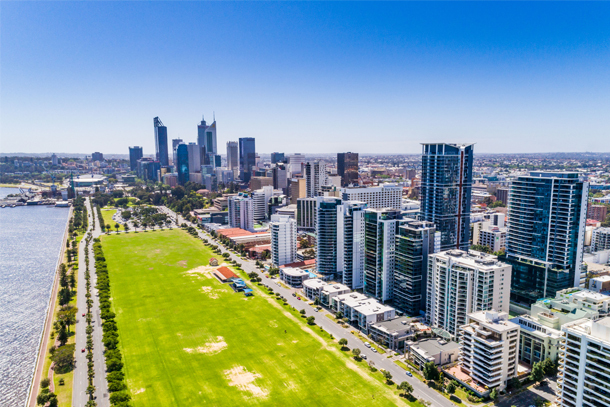 Over the past decade, Ronald has been instrumental in Finbar's transformation into one of Western Australia's largest apartment developers with a portfolio to date of more than 65 projects and a total value in excess of $2.5 Billion. Mr Peh Siong Woon Terence is the Chief Executive Officer and Executive Director of Chuan Hup. As Chief Executive Officer, he is responsible for the day-to-day running of the business and for the overall performance of the Group. He was appointed on 1 November 2005 and was last re-appointed on 20 October 2016. Mr Peh has over 18 years of experience in property development investment and project management in Asia Pacific, and management experience in finance in the marine and electronics manufacturing services industries. Mr Peh is also the Executive Vice Chairman of PCI. He assists the Chairman of PCI in overseeing the strategic planning and business development of the PCI Group. Mr Peh is also a Non-Independent and Non-Executive Director of Pacific Star Development Limited and sits on its Audit, Nominating and Remuneration Committees. Mr Peh obtained his Bachelor of Commerce in Marketing degree from Curtin University of Technology, Australia in 1996 and his Master of Commerce in Finance degree from the University of New South Wales, Australia in 1997. Kee Kong Loh joined the Board in April 1993 and has substantial experience in the governance of companies in property development, marine transportation, and electronics manufacturing sectors. He has a degree in accountancy from the University of Singapore and is a member of the Institute of Certified Public Accountants of Singapore. Loh is a director of PCI Limited (Singapore) which is a publicly listed company in Singapore, where he is a resident. Lee Verios joined the Board in December 2011. He is a well credentialed commercial lawyer having practised in Western Australia for over 40 years. Until his retirement from practising law in 2012, Lee was a partner in the international law firm of Norton Rose and the leader of their Commercial Property divisions in Perth and is currently a member of the Law Society of WA. Throughout his legal career, Lee has held senior management roles in each of the firms of which he has been a member. In addition to his legal practice, Lee is an experienced company director, having held positions in a variety of public and private enterprises. He has been a director of privately owned investment company Wyllie Group Pty Ltd since July 2004 and is a Non-Executive Director of ASX listed Decmil Group Limited and not for profit retirement village, Ocean Gardens Inc.
Ed is a Certified Practicing Accountant with twenty five years' experience in private practice including seven years as the Company's external accountant.